The sidewalks leading up to your home need to be in good condition, as damaged ones can cause trips or falls. Moreover, a damaged curb does not make your home look as welcoming as it could. You should take the help of experts when it comes to the upkeep and reconstruction of a concrete sidewalk, walkways or driveways on your property. 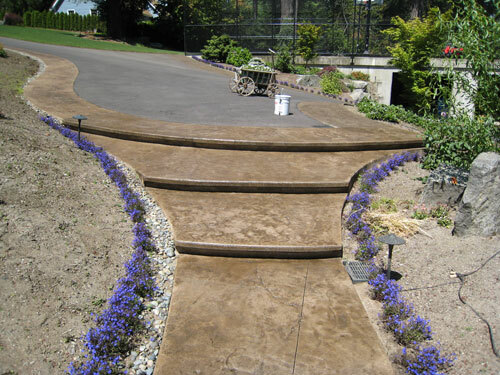 Cook's Concrete Construction Co. Inc. is a reputed company that offers high quality services related to concrete sidewalks in the Frederickson, WA area. 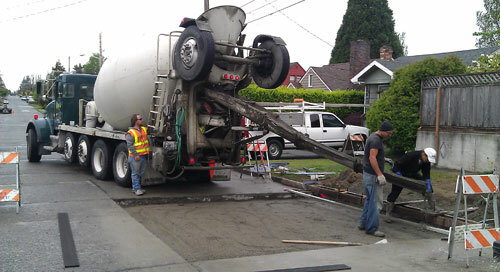 Our highly trained and experienced workers will efficiently mend your concrete sidewalks as required. However, you may need new concrete sidewalks if repairs are found to be more costly than new installation. Equipped with the latest equipment and the most advanced techniques, we will repair or build concrete sidewalks within the scheduled budget and time. The walkways around your house should be in good condition so they not only look nice, but also so they do not cause accidents or damage. You can connect different areas of your property by getting concrete walkways constructed. As specialist concrete walkway contractors, we are experts in laying concrete paths around houses. You can choose from among several concrete walkway designs we have or you can suggest one of your own. If you want to know the concrete walkway construction cost, you can talk to our consultants. Based on your requirements and other specifications, we will provide an accurate estimate. With the plethora of cement driveway contractors offering services for concrete driveway installation in Frederickson, choosing the best one can be difficult. Nevertheless, taking recommendations from acquaintances and neighbors can be a good way to find the best company for concrete driveway construction. 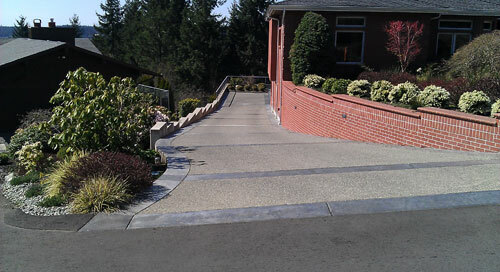 We can also show you concrete driveway pictures that we have constructed for our past clients. Then you can choose any of our concrete driveway designs to make your home exteriors look beautiful. You can call Cook's Concrete Construction Co. Inc. at (253) 777-1901 for any services related to concrete driveways in Frederickson.